The technical details of establishment of the posterolateral portal under endoscopic guide and the details of posterior knee arthroscopy is described. This provides an minimally invasive approach to deal with various pathologies of the posterior compartment of the knee joint. 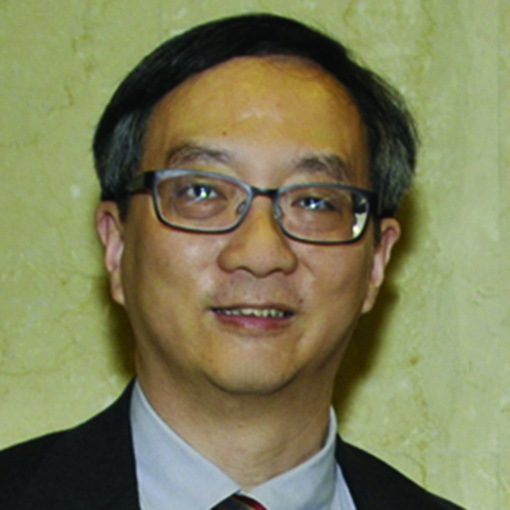 Department of Orthopaedics and Traumatology, North District Hospital, Sheung Shui, NT, Hong Kong SAR, China. Department of Orthopaedics and Traumatology, North District Hospital, 9 Po Kin Road, Sheung Shui, NT, Hong Kong SAR, China. Introduction: Introduction: The posterior portion of the knee joint, which includes the tibial attachment of the posterior cruciate ligament and the posterior horn of the menisci, has been called a “blind spot” because it is difficult to observe this area under arthroscopy through standard anterior portals. Posteromedial, posterolateral, and posterior transseptal portals have been developed for visualization and instrumentation of the posteromedial and posterolateral compartments of the knee joint. Case Report: A 57-year-old man presented of persistent left posterior knee pain for 1 year. Radiographs and magnetic resonance imaging showed posterior knee encapsulated loose bodies. The symptoms did not respond to physiotherapy and analgesics. The loose bodies were removed via posterior knee arthroscopy. The symptoms subsided afterward. Conclusion: Lateral portal of the knee allows establishment of the posterolateral portal under endoscopic visualization, and the loose bodies of the posterior compartment of the knee can be effectively removed via the posterior knee arthroscopy. Keywords: Posterior, knee, arthroscopy, loose body. Knee arthroscopy is well developed and can deal with most of the intra-articular pathology of the knee joint. The posterior portion of the knee joint, which includes the tibial attachment of the posterior cruciate ligament (PCL) and the posterior horn of the menisci, has been called a “blind spot” because it is difficult to observe this area under arthroscopy through standard anterior portals . Posteromedial, posterolateral and posterior transseptal portals have been developed for visualization and instrumentation of the posteromedial, and posterolateral compartments of the knee joint [1, 2, 3, 4, 5, 6, 7]. Most of the reported techniques of establishment of the posterior portals are under transcondylar notch arthroscopic visualization through the anterior portals or the use of a curved guide rod [1, 2, 3, 4, 5, 6, 8, 9]. This may be difficult if the cruciate ligaments are intact. We reported a case of posterior knee loose bodies which was successfully treated by posterior knee arthroscopy. A lateral portal just anterior to the lateral collateral ligament and at the level of the lateral joint line of the knee is utilized for establishment of the posterolateral capsular portal under endoscopic visualization. The transseptal and posteromedial portal are established by Wissinger rod technique. A 57-year-old man presented of persistent left posterior knee pain for 1 year. There was no preceding injury. The patient has rest pain and the pain exacerbated by walking and exertion. There was no associated knee swelling or systemic upset. Clinically, there was no tenderness over the knee joint, and no joint effusion was noted. The local temperature was normal and the knee motion was full. Radiographs and magnetic resonance imaging showed posterior knee encapsulated loose bodies (Fig. 1). The symptoms did not respond to physiotherapy and analgesics. Posterior knee arthroscopy was performed. The patient was supine with the knee flexed. A thigh tourniquet was applied to provide a bloodless surgical field. A 30° 4.0 mm arthroscope (Dyonics, Smith, and Nephew) was used for this procedure. Arthropump was not used to reduce the risk of extracapsular fluid extravasation . Lateral and posterolateral portal incisions were made at the level of lateral joint line and anterior to the lateral collateral ligament and biceps femoris tendon, respectively (Fig. 2). Endoscopy of the potential space deep to the lateral collateral ligament was performed [11, 12]. After minimal dissection, the posterolateral capsule can be seen. The posterolateral capsular portal was made with a Wissinger rod with the blunt conical tip just anterior to the lateral head of the gastrocnemius. The arthroscopic cannula was inserted along the rod. The rod was removed and replaced by the arthroscope. The arthroscope was advanced medially until it touched the septum between the posteromedial and posterolateral compartments. The arthroscope was removed, and the Wissinger rod was inserted into the cannula. The septum above and behind the PCL was perforated by the rod close to the posterior femoral cortex and the posterior transseptal portal was created [3, 13]. The rod cannula was advanced medially into the posteromedial portal. The rod was removed again and replaced by the arthroscope. The expected posteromedial portal was located just posterior to the medial femoral condyle, above the semimembranosus capsular fold and anterior to the gastrocnemius capsular fold . This corresponded to the medial soft spot at the posteromedial knee . The arthroscope was advanced to this area and the long saphenous vein and the accompanied sartorial branch of the saphenous nerve were confirmed by transillumination that they are not at the posteromedial portal site. Posteromedial portal incision was made at this point. The arthroscope was removed, and the rod was inserted into the cannula, and the rod and cannula were exited through the posteromedial portal (Fig. 3). The posteromedial compartment can be examined with the posterolateral portal as the viewing portal (Fig. 4). Synovectomy of the posteromedial compartment can be performed with an arthroscopic shaver (Smith and Nephew) through the posteromedial portal. The septal hole can be enlarged if needed. Any encapsulated loose bodies can be freed. The loose bodies are removed by means of a curved hemostat. After clearance of the posteromedial compartment, the arthroscope was advanced to the posteromedial portal. The arthroscope was removed and the cannula is left in situ. The arthroscope was switched to the posteromedial portal by Wissinger rod technique (Fig. 5). The posterolateral compartment was examined (Fig. 6) and synovectomy was performed with a shaver through the posterolateral portal. Synovectomy anterior to the popliteus tendon may be difficult because of the blockade by the tendon. Synovectomy of the posteromedial corner can be completed through the lateral portal with the posterolateral portal as the viewing portal (Fig. 7). Postoperatively, the patient was advised on weight-bear as pain tolerated and free mobilization of the knee joint. Postoperatively, the pain subsided, and the patient can resume duty as a manual worker 2 weeks after the operation. Radiographs showed that the loose bodies were removed (Fig. 8). There was no neurological or wound complication. On 19 months of follow-up, the patient remained asymptomatic. The most important finding of this report was that lateral portal of the knee allows establishment of the posterolateral portal under endoscopic visualization and the loose bodies of the posterior compartment of the knee can be effectively via the posterior knee arthroscopy. Posterior knee arthroscopy is indicated for arthroscopic reconstruction of the PCL, total synovectomy, repair or partial excision of the posterior horn meniscus tear, meniscal transplantation, chondroplasty, microfracture, resection of popliteal cyst, posterior capsular release, removal of loose bodies, and resection of tumor of the posterior compartments [1, 2, 3, 4, 5, 6, 7, 15]. The posteromedial portal can be created by direct puncture technique over the posteromedial soft spot above the semimembranosus and anterior to the medial head of the gastrocnemius  or locating the posteromedial portal with reference to the medial femoral epicondyle  which is essentially a blind maneuvre. The portal can also be created in an inside-out manner through an interchangeable cannula system  or a curved guide rod  through the anterior portals and the intercondylar notch. More frequently, the portal is made by the outside-in manner with transillumination by the arthroscope through the anterior portals and the intercondylar notch [1, 2, 3, 4, 5, 6, 8, 9, 13]. 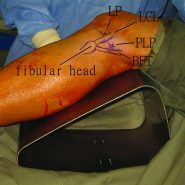 Similarly, the posterolateral portal can be created either by locating the portal with reference to the fibular head  or palpating the lateral soft spot between the lateral collateral ligament, the lateral head of the gastrocnemius, and the posterolateral tibial plateau . It can also be located by transcondylar nodule transillumination technique through the anterior portals . However, if the surgeons are inexperienced and unable to view the posteromedial/posterolateral capsule directly through the anterior portals, the introduction of the arthroscope is still done in a blind manner with the risk of damage to the femoral and tibial cartilage or the menisci . Although posterior knee arthroscopy is relatively uncomplicated for the well-trained arthroscopist, there remains significant concern about iatrogenic injury to the surrounding neurovascular structures including the popliteal neurovascular bundle, saphenous nerve, and common peroneal nerve . The saphenous nerve and common peroneal nerve can be injured during the establishment of the posteromedial and posterolateral portals, respectively. The popliteal neurovascular bundle can be injured if the surgeon is working in proximity to the intercondylar septum or if the arthroscopic instrument slips extra-capsular and posteriorly toward the neurovascular bundle [5, 6, 10, 13]. There are many measures to enhance the safety of the procedure. The creation of the posteromedial and posterolateral portals are safe with the knee flexed to 90° as the common peroneal nerve and the sartorial branch of the saphenous nerve move posteriorly [6, 10, 14, 18, 19]. Another measure is the identification of the sartorial branch of the saphenous nerve and the long saphenous vein by transcondylar notch transillumination [5, 10]. In our technique, the first step is creation of the posterolateral portal. We do not rely on the palpation of the lateral soft spot or the transillumination technique. We identify the posterolateral capsular portal endoscopically [11, 12]. The biceps femoris tendon and the lateral collateral ligament are more distinct and easier to identify than the lateral head of gastrocnemius. The common peroneal nerve is protected by the biceps femoris tendon . Endoscopic visualization allows creation of the posterolateral portal at the most posterior corner of the posterolateral capsule. This allow the portal to be far enough from the lateral femoral condyle so that instruments placed through this portal are never oriented in an anterior-to-posterior direction toward the popliteal neurovascular bundle . Moreover, insertion of the Wissinger rod under endoscopic visualization avoids the rod going extra-capsular toward the popliteal neurovascular bundle. Furthermore, perforation of the septum between the posteromedial and posterolateral compartments from lateral to medial direction is less risky to the popliteal neurovascular bundle as the bundle is located just lateral to the septum and the rod is moved away from the bundle. Creation of the posteromedial portal is of inside-out manner by identification of the posteromedial capsular folds . However, the folds may not be easily identified in the presence of capsular fibrosis or synovitis. Therefore, we still rely on the transillumination technique to locate the portal. Unlike the transcondylar notch visualization, transillumination through the posterolateral portal can be performed with a 30° arthroscope rather than a 70° arthroscope. Creation of the posteromedial portal by this inside-out Wissinger rod technique allows the portal to be located far enough toward the posterior aspect of the knee to ensure that the arthroscope or instruments will be directed exactly in the coronal plane . A portal located too anteriorly would place the arthroscope and instruments in a posterolateral direction that would bring them near the posterior blood vessels and nerves . The popliteal vessels lie immediately behind the tibial plateau, lateral to the PCL and knee flexion does not always guarantee posterior displacement of the popliteal artery [10, 13]. The septum between the posteromedial and posterolateral compartments should not be resected routinely as the popliteal neurovascular bundle is located just lateral to the septum [8, 10]. If creation of the posterior transseptal portal is indicated, the shaver must always face anteriorly toward the knee joint and away from the popliteal neurovascular bundle . The risk of injury to the popliteal artery is greatest during resection of the inferior portion of the posterior septum . Besides as an endoscopic portal, the lateral portal can serve as an arthroscopic portal for instrumentation of the posterolateral corner of the knee joint anterior to the popliteus tendon. This technique is contraindicated if the knee is ankylosed in extended position as safe placement of the portals cannot be guaranteed. Moreover, the working area of the posterior compartments is markedly diminished. Lateral portal of the knee allows establishment of the posterolateral portal under endoscopic visualization, and the loose bodies of the posterior compartment of the knee can be effectively removed via the posterior knee arthroscopy. Loose bodies of the posterior compartment of the knee joint can cause posterior knee pain. Posterior knee arthroscopy is an effective means to remove the loose bodies of the posterior compartment of the knee joint and can also deal with other pathologies of the posterior knee compartment. Lateral portal of the knee allows establishment of the posterolateral portal under endoscopic visualization and improve the safety of the procedure. 1. Ochi M, Adachi N, Sumen Y, Uchio Y, Iwasa J. A new guide system for posteromedial portal in arthroscopic knee surgery. Arch Orthop Trauma Surg 1998;118(1-2):25-28.1. Ochi M, Adachi N, Sumen Y, Uchio Y, Iwasa J. A new guide system for posteromedial portal in arthroscopic knee surgery. Arch Orthop Trauma Surg 1998;118(1-2):25-28. 2. Lee YS, Ahn JH, Min BH, Nha KW. Arthroscopic loose body removal and cyst decompression using a posterior trans-septal portal in the blind spot during knee arthroscopy – Technical report. Knee 2011;18(1):55-58. 3. Surendran S, Choi NY, Yoon KJ, Han CW. Arthroscopic posterior cruciate ligament augmentation using an autogenous hamstring tendon graft and the posterior-posterior triangulation technique. Arthroscopy 2007;23(4):444.e1-e6. 4. Takahashi M, Nagano A. Arthroscopic treatment of popliteal cyst and visualization of its cavity through the posterior portal of the knee. Arthroscopy 2005;21(5):638. 5. Kongmalai P, Chernchujit B. Arthroscopic treatment of popliteal cyst: A direct posterior portal by inside-out technique for intracystic debridement. Arthrosc Tech 2015;4(2):e143-e148. 6. Pace JL, Wahl CJ. Arthroscopy of the posterior knee compartments: Neurovascular anatomic relationships during arthroscopic transverse capsulotomy. Arthroscopy 2010;26(5):637-642. 7. Ahn JH, Lee DH, Lee YS, Wang JH, Ha HC. Clearing a blind spot in knee arthroscopy: Popliteal bursa. Knee Surg Sports Traumatol Arthrosc 2008;16(6):549-552. 8. 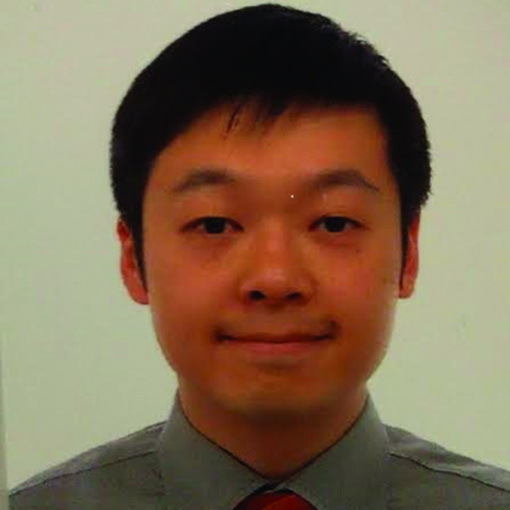 Ohishi T, Takahashi M, Suzuki D, Matsuyama Y. Arthroscopic approach to the posterior compartment of the knee using a posterior transseptal portal. World J Orthop 2015;6(7):505-512. 9. Gold DL, Schaner PJ, Sapega AA. The posteromedial portal in knee arthroscopy: An analysis of diagnostic and surgical utility. Arthroscopy 1995;11(2):139-145. 10. Kramer DE, Bahk MS, Cascio BM, Cosgarea AJ. Posterior knee arthroscopy: Anatomy, technique, application. 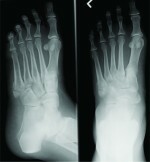 J Bone Joint Surg Am 2006;88 Suppl 4:110-121. 11. Lui TH. Arthroscopic treatment of pigmented villonodular synovitis of the proximal tibiofibular joint. Knee Surg Sports Traumatol Arthrosc 2015;23(8):2278-2282. 12. Lui TH. Endoscopic resection of lateral synovial cyst of the knee. Arthrosc Tech 2015;4(6):e815-e818. 13. Louisia S, Charrois O, Beaufils P. Posterior “back and forth” approach in arthroscopic surgery on the posterior knee compartments. Arthroscopy 2003;19(3):321-325. 14. McGinnis MD 4th, Gonzalez R, Nyland J, Caborn DN. The posteromedial knee arthroscopy portal: A cadaveric study defining a safety zone for portal placement. Arthroscopy 2011;27(8):1090-1095. 15. Lanham NS, Tompkins M, Milewiski M, Hart J, Miller M. Knee arthroscopic posteromedial portal placement using the medial epicondyle. Orthopedics 2015;38(6):366-368. 16. Johnson LL. Comprehensive Arthroscopic Examination of the Knee. St. Louis: CV Mosby; 1977. p. 50-53. 17. Schreiber SN. Arthroscopy update #9. Posterior compartment observation and instrumentation in the knee using anteromedial and anterolateral portals and an interchangeable cannula system. Orthop Rev 1991;20(1):67-68, 73, 76-80. 18. Ahn JH, Lee SH, Jung HJ, Koo KH, Kim SH. The relationship of neural structures to arthroscopic posterior portals according to knee positioning. Knee Surg Sports Traumatol Arthrosc 2011;19(4):646-652. 19. Makridis KG, Wajsfisz A, Agrawal N, Basdekis G, Djian P. Neurovascular anatomic relationships to arthroscopic posterior and transseptal portals in different knee positions. Am J Sports Med 2013;41(7):1559-1564. How to Cite This Article: Chai HL, Lui TH. Posterior Knee Loose Bodies: Treated by Posterior Knee Arthroscopy. Journal of Orthopaedic Case Reports 2017 Mar-Apr;7(2):57-61.